How To Reduce The Risk Of Sinusitis? Infants do not get infected by sinusitis. I always believed in this myth until my baby got affected. That moment I learned that sinusitis or sinus infection, which is pretty common among adults, is common in babies too! Infants born with under-developed sinuses are more vulnerable than others. But the good news is sinusitis in babies can be easily treated. MomJunction tells you about the reasons that could trigger the infection, and how you can face it. In the end, we also answer some most frequently asked questions on the infection. Sinuses are small air spaces in the bones around the nose. Four sets of hollow spaces are located in the cheekbones, forehead, on the sides of the nose bridge, and behind nasal passages in front of the brain. Sinuses in the cheekbones are called maxillary sinus, forehead – frontal sinus, behind nasal passages – ethmoid sinuses, and deep in the brain – sphenoid sinus. The infection attacks these air spaces in the bones and sometimes they are swollen. In simple terms, sinusitis is an inflammation of the lining of the nose and sinuses. The mucous membranes that line the mouth and the nose, line the sinuses as well. Acute: Acute sinusitis is a condition where the symptoms last less than four weeks and improve with treatment. Sub-acute: The symptoms last four to eight weeks and do not subside with initial treatment. Chronic: This is a condition of repeated acute sinusitis or previous infections, which were inadequately treated. The symptoms last more than eight weeks. Recurrent: As the name suggests, recurrent is a condition where acute sinusitis repeats three or more times a year. You should consult an otolaryngologist (an ear, nose, and throat specialist) in this case. Sinus infection is generally seen after a cold, an allergic inflammation or upper respiratory infection (URI). However, Mayo Clinic’s Allergic Diseases Research Laboratory researcher Dr. David Sherris says that the cause of chronic sinusitis has not been known, so far. “Our studies indicate that fungus is likely the cause of nearly all of these problems. And it is not an allergic reaction, but an immune reaction,” Dr. Sherries adds. According to her team, the primary cause of chronic sinusitis is the reaction of immunity system to fungi. The researchers studied 210 patients and found 40 different kinds of fungi in their mucus (1). The URI causes nasal passage inflammation that blocks the opening of the paranasal sinuses, eventually leading to an infection. Viral sinusitis accompanies cold. Allergies also lead to sinusitis as they increase mucous production and cause the nasal tissue to swell (2). Allergic sinusitis accompanies allergies such as hay fever. Sinusitis could sometimes be confused with a cold or similar infection. Keenly observe the symptoms of your baby to understand the exact condition. According to the American Academy of Pediatrics, cold symptoms such as nasal discharge and cough that last more than ten days without any improvement, indicate a sinus infection (3). Nasal congestion or cold that lasts for more than ten to 14 days. Green-yellow discharge from the nose for more than four days. A bad cough in the daytime that becomes worse in the night. Swelling around nose and eyes. Post-nasal drip seen as a cough, sore throat, vomiting, nausea, and bad breath. Low-grade fever for at least four days in a row. Note: A low-grade fever is body temperature above 100.4oF or 38oC and below 103oF or 39.4oC. Pediatric sinusitis cannot be diagnosed easily as the symptoms may be caused due to other problems, such as allergy or a cold. How To Diagnose Sinusitis In Babies? Many parents and in some cases even the doctor may misdiagnose a sinus infection. A green runny nose might not be a sign of sinusitis. It could rather be a common cold, which does not need specific treatment. Computed tomographic(CT) scan helps in determining the development of the baby’s sinuses and blockage, if any. The diagnostic imaging procedure combines X-ray and computer technology to produce axial or vertical images of the body. Sinus X-rays use invisible electromagnetic energy beams to produce images of internal tissues, bones, and organs. Cultures from the sinuses are collected and grown in the lab conditions to diagnose the infection. Once the doctor confirms the sinusitis infection in your baby, he may suggest the following treatments. Nasal sprays: Saline nasal sprays may provide temporary relief from stuffiness. Saltwater or nasal drops help in thinning secretions and improving the functioning of the mucous membrane. Saline drops can be made at home. Add one-fourth teaspoon salt to an eight-ounce cup of warm water and mix well. Flush each nostril with the saline solution at least four times a day. Antibiotic treatment: If your baby has bacterial sinus, you may need to give antibiotics for at least ten days to a maximum of 21 days. For a baby with acute sinusitis, the symptoms should improve within the initial days of treatment. Complete the antibiotic treatment even if the baby’s condition improves. 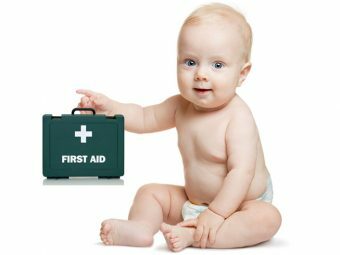 Note: Do not give antihistamines and over-the-counter decongestants to babies less than two years. 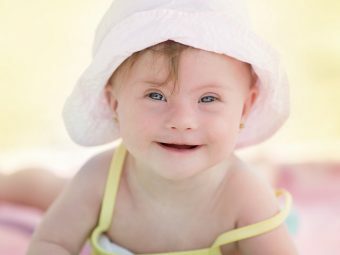 Surgical treatment: The baby may have to undergo surgery if sinusitis symptoms persist in spite of medical therapy. Endoscopic sinus surgery is one option for severe sinus infection. The surgery involves the doctor opening the natural drainage pathway of the baby’s sinuses to make it wider. Opening up the sinuses allows air circulation that eventually results in the reduced number of sinus infections. Surgical treatment may involve the removal of adenoid tissue from behind the nose. The adenoid tissue may not directly block the sinuses, but its infection called, adenoiditis causes symptoms similar to sinusitis. Baby with sinus infectionbecomes cranky as he would find it difficult to breathe. It could be an extremely difficult situation not only for the baby but also for the parents. Therefore, make an effort to prevent the attack rather than focusing on the treatment. How To Reduce The Risk Of Sinusitis In Babies? 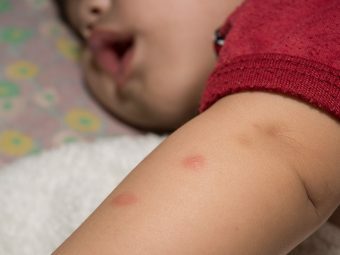 Keep your baby away from known environmental allergies. Minimize his exposure to pollutants such as tobacco smoke. Reduce the baby’s daycare time. Treat the stomach acid reflux disease, if found in your baby. Keep the atmosphere in your baby’s room moist. It stops cold from worsening. Get the best treatment for allergies, if any. Keep your home clean and clear of dust and smoke. Use a humidifier to maintain the humidity of the room at 45% to 50%. Allow fresh air to enter the house. Maintain hygiene to help prevent the spread of the virus. Q. Is a sinus infection contagious in babies? A. Sinusitis itself is not contagious, but the cold that accompanies the infection can spread to others. Q. Can sinus infections lead to serious health issues or complications? A. Serious complications are rare. An untreated sinus infection can spread to other areas in the skull. The sinuses around the eye and the brain are separated by just a thin membrane. So, if the infection spreads to the passages around the eye, it could also penetrate through the membrane of the brain, causing meningitis. Infection in the bones is called osteomyelitis. 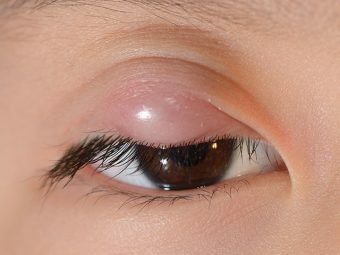 Infection in the tissues surrounding the eyes is called orbital cellulitis. In a nutshell, sinusitis infection is common in babies. They could become restless and cry incessantly. Nasal sprays and natural remedies could provide relief for the baby without any side-effects. Do you have more information about sinusitis in infants? Do share with us, or write your comments below!